Various types of application can be made to St John's. Some are defined by where you live, others by age, or timing of application. Others have specific requirements for scholarships or exist because the applicant already holds a bachelor's degree. Some deadlines, fees and forms will be affected by application type. Click on the menu below to see which application type is right for you. If you hold, or expect to hold, a Bachelor’s degree of Honours standard from another university, and wish to follow a further undergraduate course at Cambridge, you may apply to become an Affiliated student. Affiliated students are full student members of the University, and differ from others taking undergraduate courses only in that they take their Cambridge BA degree after two years’ study instead of the usual three years. At St John’s College we take only a small number of such students each year. Applicants are assessed individually on their merits, in competition with other applicants for entry at undergraduate level. Because of the intense competition for places at Cambridge, at all levels, we demand high academic standards from our Affiliated students. In cases where the student’s first degree is classed, we might expect a First Class or at least a very high Upper Second, while in cases where a GPA system is operated a score of 3.75 (out of 4.0) or higher might be required. Attention is also paid to performance in the relevant school-leaving examination, where applicable. Strong academic references are also essential. Candidates with a first language other than English must obtain relevant qualifications, such as IELTS with an overall score of 7.5 and no component of the test below 7. Applications can be considered from potential Affiliated students in all subjects except Medicine, Veterinary Medicine and Architecture. Applicants need to provide evidence of their academic suitability and potential to study the subject for which they are applying, and for many subjects considerable prior knowledge is essential in order for a student to be able to enter the ordinary undergraduate course at an intermediate point (as an Affiliated student effectively does). Affiliated students often study the subject in which they have already taken their first degree, or a cognate subject in which their previous education will be helpful to them. Some subjects may be better pursued after a first degree by taking a Master’s degree or Diploma course, rather than by following a second undergraduate course as an Affiliated student. Further information about admission to these courses can be found on the University's Graduate Admissions page. Application for admission as an Affiliated student is made via UCAS. Full instructions are provided with the form, which must be sent to your preference College together with the application fee by 15 October for admission in October of the following year. St John’s adheres rigidly to the official closing date. Applications are assessed on the basis of academic record and references. Candidates are not normally interviewed unless they are resident in the EU, when they may be invited for interview. In some cases, applicants will be asked for samples of recent written work produced in the course of their studies, and this will also be used in reaching a decision. St John’s aims to reach a decision on Affiliated applicants by late January. If St John’s rejects your application it may then be passed on to the Winter Pool where it will be made available for consideration by other Colleges. Any offer of a place will be conditional on satisfactory evidence of financial support. It should be noted that the total cost of University and College fees, plus personal living expenses, for overseas students amounts to approximately £35,000 per year for Arts subjects and approximately £42,000 per year for Science subjects. For students from the UK and other EC countries, total expenses are approximately £18,500 per year. St John’s is not able to provide scholarships or other sources of financial support for Affiliated students. For applicants from some countries, the Cambridge Commonwealth Trust administers several sources of support, and further details can be obtained by writing to the Trust at 53-54 Sidney Street, Cambridge, CB2 3HX, United Kingdom. There are normally vacancies for all voice parts, however candidates are strongly advised to check with the Director of Music before applying and he is always happy to meet candidates on an informal basis before the voice trials. The College is also keen for candidates to apply for deferred entry. 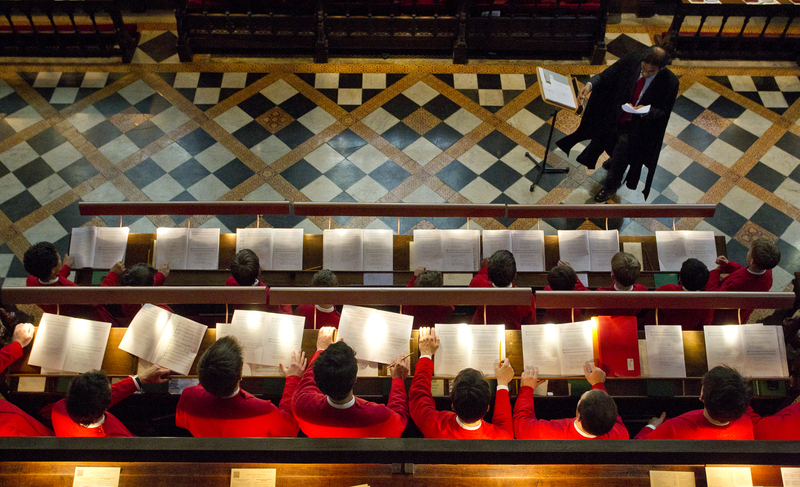 The Choral studentships are open to all offer holders - for more information please see our website. St John's (in common with all Cambridge Colleges) has high academic standards and will not admit students who will find it difficult to read successfully for an Honours degree. A substantial number of applicants enquire about St John’s policy on deferred entry. This is where a candidate plans to take a year out between school and university: ie interviewed in December 2018 for entry in October 2019. The College’s policy is to treat every case on its merits. No subject excludes deferred entry as an option, although it is extremely rare for applicants in Mathematics to take a year out. In general, the Teaching Fellows conducting admissions interviews will wish to probe your motives for seeking deferred entry and your plans for your year out. They will wish to assess its educational benefit and to reassure themselves that, at least for part of the year, you are pursuing activities that will keep you in touch with your proposed degree subject. We will consider candidates for deferred entry on the same basis as those applying for direct entry in 2019. However, in order to plan our student numbers, we do need a firm commitment to a particular year of entry and you have to indicate your choice on your UCAS form. Please be aware that it is very unlikely we would amend a year of entry after an offer has been made, although we would consider it in very exceptional cases. If you are considering the possibility of taking a gap year, you should mention it at interview. If English is not your first language you must meet the University's standard English language requirements. Please see this web page for further information. Most candidates apply at the start of their Upper Sixth year (year 13), although we also welcome post qualification applicants in most subjects. We will assess your application on the basis of your academic record so far, your personal statement, the reference provided by your school, and, should you be invited for interview, your performance in any admissions tests and the impressions we gain at interview. Prospective candidates who are preparing for examinations other than GCE A-levels are also most welcome to apply. We regularly make offers based on performances in the International Baccalaureate, French Baccalaureate, French Baccalaureate (Option Internationale), Pre-U, Scottish Advanced Highers, Irish Leaving Certificate, and the German Abitur, amongst many others. If you require further information please contact the Admissions Office. 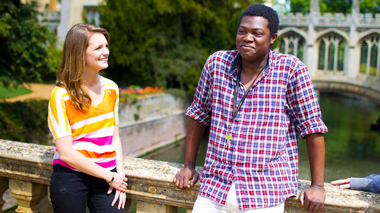 The application timetable at Cambridge starts earlier than at other universities. The online UCAS application form (listing Cambridge among your choices) should be submitted to UCAS between 1September and 15 October for entry in October of the following year (or deferred entry to October of the following year). When your UCAS application has been received you will be asked to provide additional information through a Supplementary Application Questionnaire ( SAQ ), also online, the deadline for submission of which is 22 October. A Mature student is defined by the University of Cambridge as one over the age of 21. At St John’s College we take only a small number of such students each year, typically 4 or 5 in a total undergraduate intake of about 170, although we are committed to increasing this number in the future. There is no specific quota of places for mature applicants, and they are judged individually on their merits, alongside our more conventional school-leaver applicants. Because of the intense competition for places at Cambridge (with about five well-qualified candidates for every undergraduate place) we demand high academic standards from our mature students. You will be asked to produce evidence of high academic ability and recent study (e.g. educational qualifications achieved within the last three years). Many mature students prepare for entry by taking two or more A-levels, Open University credits, an Access Course or other qualifications at a higher level. You should also bear in mind that whilst an Access Course, for example, is likely to satisfy the minimum University Matriculation requirements, we would usually look for evidence of higher-than-average achievement on the course, and some element of assessment by examination. This is because end-of-year exams play such an important part in the Cambridge Tripos. Applications will be considered from mature students in all subjects. However, in Medicine and Veterinary Medicine the length of the course and of subsequent professional training, together with the particularly intense competition for a rigidly controlled quota of undergraduate places, mean that places can only exceptionally be found for mature students. Is the applicant someone who would find it easy to fit into the College community, who would benefit from it and contribute to it? Has the applicant the intellectual capacity and preparation not merely to cope with, but also to make a success of, the course here? How does the applicant compare with other applicants this year? In considering the first two points, we are guided by references from the applicant’s recent employers and/or teachers, by the results of any examinations taken recently or in the past, and by interviews with the Admissions Tutor, the Tutor handling the applications in the subject concerned, and with the relevant Director of Studies. We also find it helpful to see written work prepared in the course of the applicant’s employment or part-time study. of 15 October for a place in the following year, we encourage those thinking of applying as mature students to discuss their plans with us informally well before this closing date. We may also be able to offer advice on possible further study that many strengthen your application. It is important that mature applicants appreciate fully that Cambridge is a residential university, and that the University Statutes require all undergraduates to live in Cambridge for the whole of each Full Term in order to qualify for a degree. It is also important to consider the full costs of the proposed course, and to explore possible sources of finance. In the first instance, potential Organ Scholars should contact the Admissions Tutor , Dr Helen Watson, regarding the admissions process. If you wish to apply for an Organ Award you need to complete a Cambridge Online Preliminary Application as well as submit a UCAS application. The COPA must be received by 1 September. Your UCAS application does not have to be submitted until the 15 October deadline. Please note that there is a separate fee associated with the COPA for students applying for an Organ Scholarship . Full details can be found on the Cambridge University Undergraduate Admissions website. Undergraduate applicants to Cambridge living and/or attending school in a country outside the UK or EU (including applicants from Switzerland and other EEA countries) are required to submit their UCAS application by the relevant deadline and will also be asked to complete and submit a Cambridge Online Preliminary Application (COPA). Please note that UCAS deadlines are 15 October for Overseas applicants unless they wish to be considered for interview overseas, in which case earlier deadlines may apply. The completed COPA should be accompanied by an application fee of £30. In the event that you are selected for an interview at a location outside the UK, an interview fee of £150.00 is payable prior to the interview date. Further information on this payment will be provided in the correspondence inviting you to attend an interview. These fees can be paid using the online debit/credit card facility. If you know you will be unable to pay by debit or credit card, please contact the Cambridge Admissions Office (tel:+44 (0) 1223 333308; email: appfees@admin.cam.ac.uk) as soon as possible to discuss alternative payment methods. In order to submit payment for the Overseas Application Fee you will need to have started your UCAS application and have obtained a UCAS Personal ID. You must enclose a copy of your payment confirmation email when submitting your COPA and add your payment reference number to page 1 of the form. The University provides information on paying the application and interview fees. If you have already taken your A-levels and have achieved high grades that meet the standard offer grades, we will be pleased to consider your application as a Post-A-level candidate. Although the formal closing date for all applicants is the same, if you are applying as a Post-A-level candidate and are hoping to spend your ‘year out’ abroad, you should ensure that your Gap Year plans do not clash with the interview period in early/mid-December. Candidates for Medicine or Veterinary Medicine should be aware that they will be required to sit the BMAT examination in early November, those applying for Law will be required to sit the Cambridge Law Test and those applying for other subject will be required to take either a Pre-Interview Assessment or At Interview Assessment, please see under "Entry Requirements" on the Subject page for further details. Applicants for subjects requiring a Pre-Interview Assessment or the BMAT should ask their school or college for support in administering these exams for them. Prospective candidates who have taken examinations other than GCE A-levels are also most welcome to apply. We regularly make offers based on performances in other public examination systems, for example, the Scottish Advanced Highers, the German Abitur and the International Baccalaureate.